I have owned a set of these tires for 3 months. I have had to repair 3 separate tires due to punctures located in the grooves. I drive on gravel roads frequently and all three punctures have occurred during these conditions. These tires are built for paved roads ONLY. All season doesn't mean All conditions. I bought these tires for my car and they are the best buy that I could have made for my car at a good price. 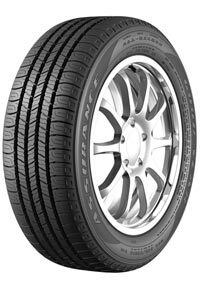 I would recommend these tires to my friends these are great tires for the price. My review for my tire is very good. I purchased four of this tire and I am very pleased with the performance. I'm not sure about the snow traction because we haven't gotten any, but everything else is great.